One day each year – April 9 in 2016 – people all over the world visit local museums and galleries to look at art slowly. Participants look at five works of art for 10 minutes each and then meet together over lunch to talk about their experience. That’s it. Simple by design, the goal is to focus on the art and the art of seeing. How does an Art Institution get involved? Volunteers, as individuals or as museum staff, raise their hands (and register on this site) to host a group at a local museum or gallery. The host selects both the location and the art to view. The global Slow Art Day team (also made up of volunteers) provides the tools and support for hosts to run their own events. How do individuals volunteer or intern on the global team that runs Slow Art Day? Slow Art Day is made up entirely of volunteers – including college and high school students who intern with us. Anyone can intern or volunteer from anywhere in the world – it’s a global movement and we work remotely using a variety of digital tools and old-fashioned technology like conference calls. See more about our internship program here or contact us if you’d like to volunteer working on social media, our database, our outreach to museums and galleries or any of the other jobs. We have a great team around the world and you’ll learn a lot and have fun working with the team behind Slow Art Day. Click on the first letter of a city to find a participating museum or gallery. If you don’t see one near you, then volunteer to be a host! Committing to hosting a Slow Art Day event has proven to be a rewarding experience. 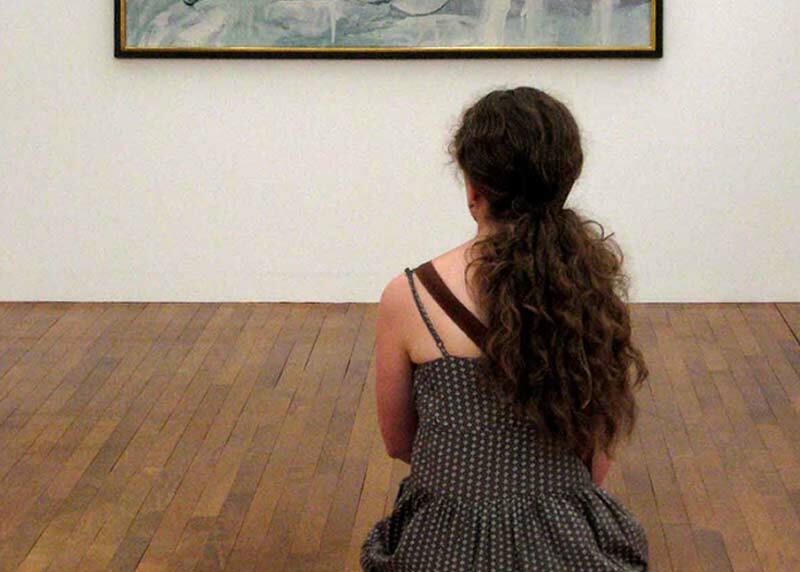 As host, you invite people to come to a local museum or gallery and view a small number of works on their own, followed by a group discussion of the viewing experience. All this happens at venues around the world on the same day each year – Saturday, April 9, 2016. Click on the list of 2016 venues, find one near you and register online (it’s free). Show up on Saturday, April 9, 2016 at your venue, pay the admission fee (if there is one) and then look slowly – 5-10 minutes – at each piece of pre-assigned art. Meet up with your volunteer host and the other participants at a pre-assigned lunch spot. This entry was posted on September 21, 2015 by mptask in April 2016, December 2015, Events 2016, February 2016, January 2016, March 2016, News Views, November 2015, October 2015, September 2015 and tagged art, art exhibition, art gallery, museum, Slow Art Day 2016.